Discover travel destinations through locals who live there & travelers who have been there... Explore Scotland with a Scotsman & Ireland with the Irish. The Everywhere Travel Podcast takes you around the world, sharing people, places and stories from travel destinations, shared through through the voices, stories and opinions of locals who live there or travelers who've been there. Travel advice from locals, and real world trip experiences. 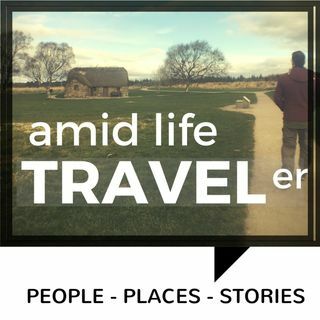 This podcast is on diverse global ... Más informaciones countires, it is a companion podcast to our other series focused on Ireland travel and Scotland travel. Explore Ireland through the voices, stories and opinions of locals who live there and travelers who travel there. Cities include; Dublin, Cork, Limerick, Killarney, Midleton, and Belfast. Stories include; iconic sites to explore, things to do, modern culture, history, heritage, ghosts, and of course tasty things to eat and drink while ... Más informaciones in Ireland. Do you want to go to Peru? We do too! We're working on a cool new Peru travel podcast, interviewing people who travel there and locals who live there. This is the super-secret WIP drop box area for clips in progress, once the podcast episodes are produced and ready then we'll roll them out publicly here and across the major ... Más informaciones platforms like Apple Podcasts / iTunes, Google Podcasts, Spotify, and all of the other major podcast players. Discovering and sharing the experiences, stories and advice from women who travel. We're building a library of women's travel stories.